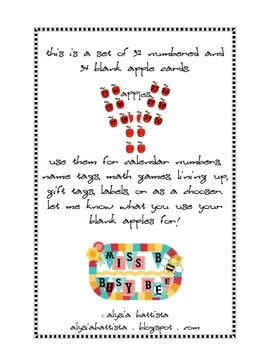 This is a set of 32 numbered and 34 blank apple cards. 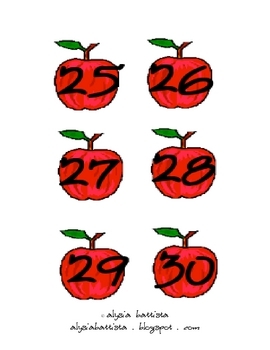 Use them for calendar or number line numbers, name tags, math games, lining up, gift tags, labels, or as choosers. 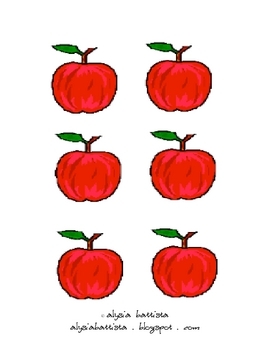 Let me know what you use your blank apples for!